This second edition contains updated information to make breastfeeding even easier. 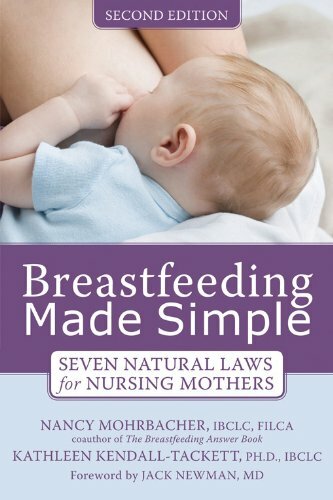 Like the first edition, its "seven natural laws" take the mystery out of how breastfeeding works. The new edition describes how gravity-assisted positions can make the first weeks more comfortable and enjoyable. Rather than straining your muscles to keep your baby at breast level, learn how to relax completely and even breastfeed hands free. Every expectant mother should own this essential and comprehensive resource. Even highly motivated mothers may question their good intentions to breastfeed when faced with obstacles like pain, worries about milk production, and difficulty pumping. In these situations, is weaning the best answer? Or are there simple ways to overcome these challenges and meet your breastfeeding goals? 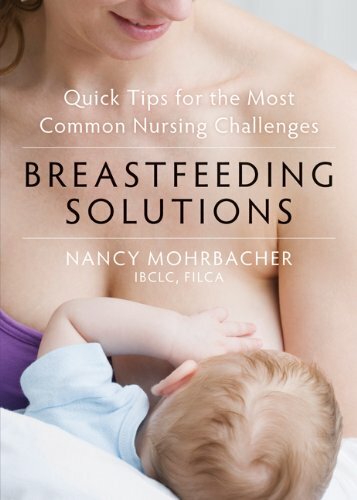 Breastfeeding Solutions is the perfect resource for any new mother who wants quick, practical solutions to common breastfeeding problems. This fast read includes illustrations, tables, and charts to make it easy to quickly find answers without wading through hundreds of pages of text. Breastfeeding is one of the best things a mother can do. This tiny troubleshooting guide helps you overcome your breastfeeding hurdles so you can cherish this special time with your child. 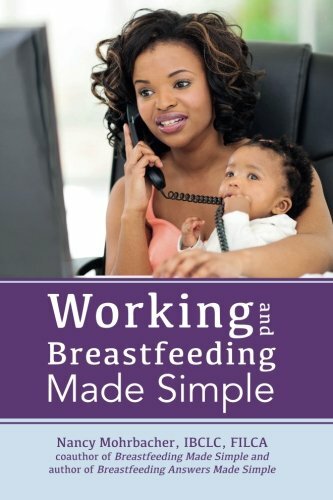 Working and Breastfeeding Made Simple takes the mystery out of milk production and pumping. It puts you in control of your own experience with straightforward explanations of how milk is made and what you can do to reach your own best level. Whether your maternity leave is long, short, or in between, it guides you every step of the way. Tips from employed mothers offer the wisdom of hindsight, and new concepts like “The Magic Number” enable you to tailor your daily routine to your body’s response. Proven pumping strategies can increase milk yields by nearly 50%. No matter what your work setting, whether you stay close to home or travel regularly, this book contains the essentials you need to reach your personal breastfeeding goals. Breastfeeding Answers Made Simple: A Pocket Guide for Helping Mothers is a companion volume to the much larger Breastfeeding Answers Made Simple. How does this pocket guide compare to its larger cousin? Both contain the strategies you need to help mothers with a vast array of common and unusual breastfeeding challenges. To make this volume portable enough to carry with you, what's missing are the detailed explanations for its recommendations and the thousands of research citations included in the larger volume. Those who need the evidence supporting its strategies should make sure they also have access to the larger Breastfeeding Answers Made Simple.